The LG V30S ThinQ has been officially launched before the Mobile World Congress (MWC) 2018. 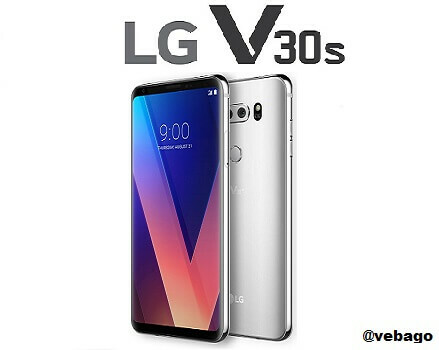 LG has already given information about this smartphone that it will be the next model of the LG V30 launched last year. LG V30S ThinQ smartphone is explicitly designed with Artificial Intelligence (AI) Features to compete with Samsung Galaxy S9 and Galaxy S9+, which launches today. LG V30S+ ThinkQ with LG V30S ThinQ has also been introduced which has more internal storage. At present, there is no information about the price and availability of this smartphone. When preparing LG V30S ThinQ, the most attention was placed to give better camera and voice recognition expeditions. For this, the company has prepared Vision AI and Voice AI. Vision AI introduces three new camera features - AI Cam, QLens, and Bright Mode. Voice Ace changes the run and settings of the app in the smartphone via voice command. The Android 8.0 Audio based LG V30S ThinQ has a 6-inch QHD+ (1440x2880 pixels) OLED FullVision display with 18:9 ratio and UX 6.0+ interface. A Qualcomm Snapdragon 835 processor powers the smartphone with 6GB RAM. There is also a fingerprint sensor on the rear and has a 3300mAh battery. It also has fast charging support in it. The weight of this smartphone is 158 grams. Coming to camera section, there is a dual camera setup on the back. The first camera is 16 megapixels with f/1.6 aperture and 71-degree lens while the second 13 megapixels camera is 120-degree wide angle lens with f/1.9 aperture. On the front, it has a 5-megapixel camera with 90-degree wide angle lens and f/2.2 aperture. The LG V30S ThinQ has 128GB of internal memory, while V30S ThinQ + has 256GB of internal storage. The storage of both variants can be increased using a microSD card up to 2TB. In terms of connectivity, it has 4G LTE, Wi-Fi 802.11 a/b/g/n/ac, Bluetooth 5.0 (BLE), NFC and USB Type-C 2.0 (3.1 compatible) support.